GameBlast 18: Schedule & more! It’s the weekend you’ve all been waiting for: GameBlast and (potentially more than) twice the gains, all rolled into one - a double whammy! Read on for further details, including more information about the charity: SpecialEffect, the full live stream schedule and how you can get involved. So what’s GameBlast? In short, it's 24-hours of fun, live streamed in support of a good cause - all while you enjoy Double XP Weekend in game. We’ve got events, competitions, crazy challenges and more. You’ll even get an exclusive LootScape reward just for tuning in! Check out the schedule below. SpecialEffect puts fun and inclusion back into the lives of people with physical disabilities by helping them to play video games. By using technology ranging from modified joypads to eye-control, SpecialEffect is finding a way for people to play to the very best of their abilities. But they're not just doing it for fun. By levelling the playing field, they're bringing families and friends together and having a profoundly positive impact on therapy, confidence and rehabilitation. 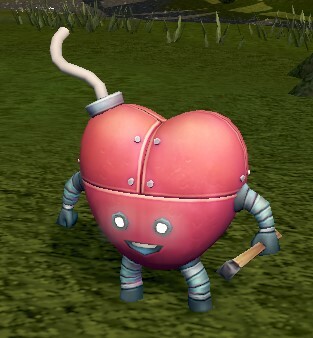 Tickety the GameBlast pet (shown below), the Tickety plushie, the GameBlast shield and a ‘The GameBlasted' title – all for just 400 RuneCoins! All the cosmetic goodies from GameBlasts gone by, including the '14 Tunic, the '15 Outfit and the '16 Amulet, Balloon and Cape – only 200 RuneCoins! Head in-game from Friday at 00:00 game time and click on the GameBlast interface for more details. Grab them before 23:59 game time on Monday! We’re also hosting an eBay auction with all sorts of novelties for you to bid on, including Mod Ash’s mug (yes, THE mug), an exclusive title, a gameplay session with the team at Bungie on Destiny 2 and a pair of tickets to the forthcoming Speed Machine festival courtesy of Codemasters and Dirt4! Just go on over to the GameBlast eBay page to see what’s live and bid away. It's already started, so don't wait around! Donate on Twitch using Twitch Bits! Did Mod Sween just down a disgusting smoothie? Did you spot Mod Osborne falling asleep mid-sentence? Once you’ve bought your bits, just type ‘cheer’ into the chat window on Twitch, followed by the number of Bits you want to use. You can contribute to GameBlast directly using our JustGiving page - just remember to leave a message so we can shout you out on the live stream! Those of you based in the UK can also donate £5 by mobile using text code: JXGB99 £5 to 70070! It’s as easy as that. Everything Jagex receives from the above will go directly to SpecialEffect. What’s more, for every £10,000 we receive in donations, we’ll ramp up the XP bonus for 30 minutes during the 24-hour live stream! Brilliant! Looking forward to it! I'll try and at least get this years bundle though. ashame its 400 runecoins, if we are lucky thats just the f2p price, so it will cost less than 2 bonds on p2p. Edit: wheres the gameblast interface? Some nice stuff for sale... shame I only have £2 in my bank atm. Looking forward to seeing which Jmod(s) get chosen for the meal! What’s more, for every £10,000 we receive in donations, we’ll ramp up the XP bonus for 30 minutes during the 24-hour live stream! What is actually meant by "ramp up"? ...which is precisely why I want it. It's so out-of-place and yet I like how it looks XD Oh, I almost forgot.